Tim Brookens and I made our second trip to the Savage River near Luke, MD. The Lower Savage is tail water which flows from the reservoir for five miles and empties into the North Branch of the Potomac. 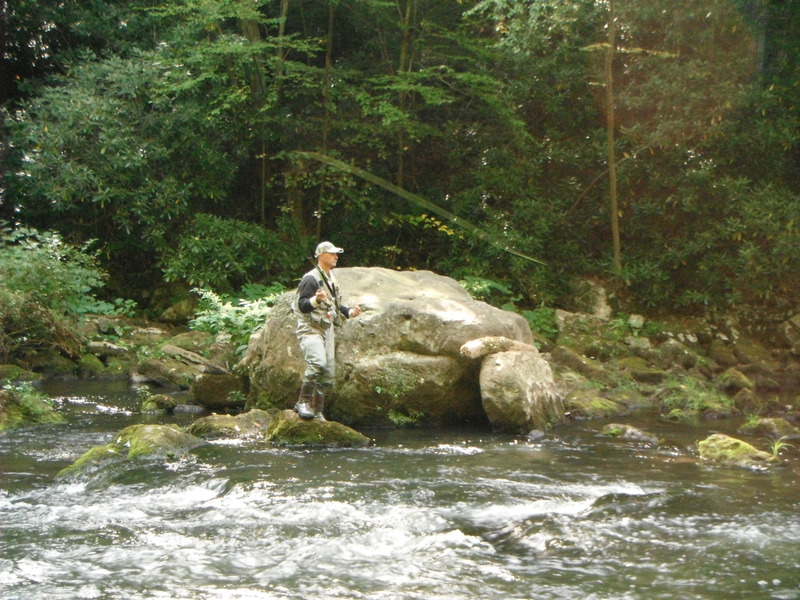 Savage River Outfitters (www.savageriveroutfitters.com) describes the “Savage” as a world class wild trout stream. The brooks and browns are colorful and challenging to catch because of the many currents emptying into the pools making it difficult to get drag free drifts with dry flies. Although we saw some blue winged olives and caddis, we saw very few rises, so our tactic was to try to dredge them up with caddis, parachute adams and attractor flies. We managed to land 22 fish, mostly small browns and a few brookies. The last fish caught was rising to small BWOs and was fooled with a size 20 parachute version. We set up Tim’s pop-up camper at the camp site located right beside the river so we had easy access to miles of fishing. If you don’t mind camping without electricity, this is the way to go. The September weather made it comfortable for fishing. Next year we plan on fishing earlier in the season when a hatch is on. Can’t wait! 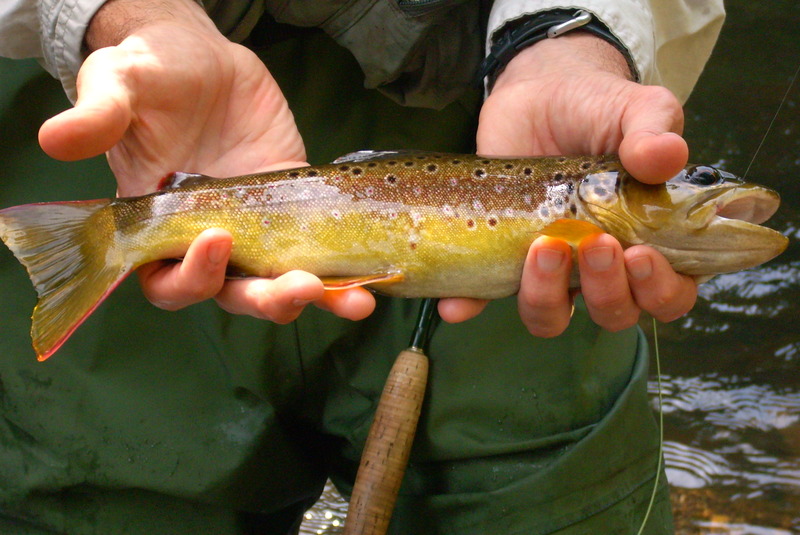 Beautiful brown and Another great Report, 22 fish is a phenomenal day.! I still have yet to make a trip this year to the Savage and am planning one for Spring. But this winter, I plan on being on the water as much as I can for some research on winter tactics for fishing wild trout for my book. You will not regret a trip to thre Savage. Actually 22 for 2 days….do not want to mislead you.